“I don’t see how he doesn’t have a chance” to win a future statewide office, Mr. Zezima said. Mr. Pruitt’s actions at the E.P.A. remain the subject of several federal investigations despite his resignation, and the outcome of those investigations could substantially change the political calculus. 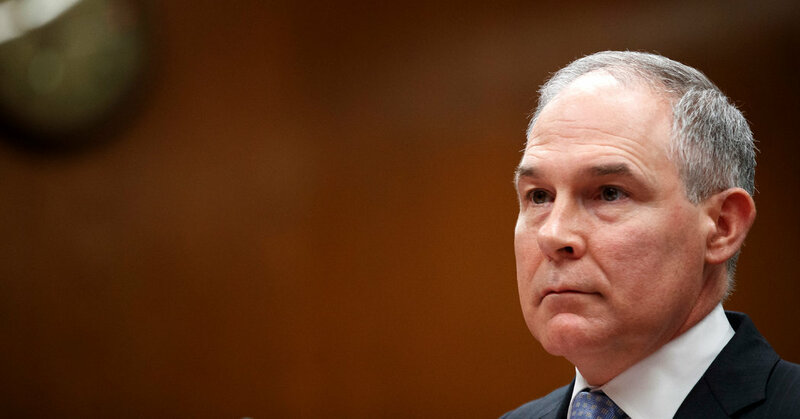 Carl Curtis, 59, a retired teacher who was walking in Mr. Pruitt’s neighborhood on Saturday morning, said Mr. Pruitt would probably have a chance for political rebirth, if only because Republicans now seem to rally around their politicians regardless of ethical failings. “Look at Trump, what he’s gotten away with, and they’re sticking with him,” said Mr. Curtis, a Democrat.